This is exellent car in the world. it’s the F430. 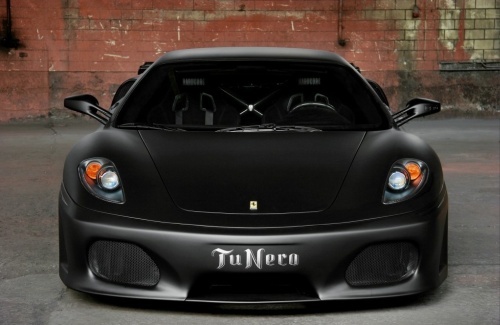 It is the Novitec Tunero F430, a modified Ferrari F430 in matte black color shown by Novitec at the Frankfurt Motor Show 2007. They have changed the name to Tunero. Tunero boasts 2 race inter cooled supercharged with new intake system, fuel injectors and oil coolers. The engine produces 707horsepower at 8,350 rpm and 525 lb/ft of torque at 6300 rpm. It boosts from 0-60 mph in 3.5 seconds and achieve a top speed of 216 mph. More pictures after the jump.